Magic Circle - VIP Private Tour of Tenerife - Experience More! 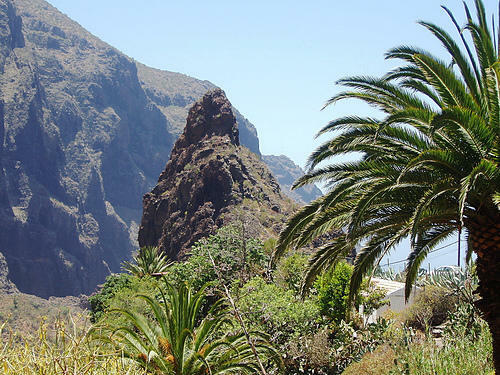 Magic Circle Tenerife - VIP Private Tour in Tenerife: cliffs of Los Gigantes. Magic Circle Tenerife - VIP Private Tour in Tenerife: Teno peninsula. 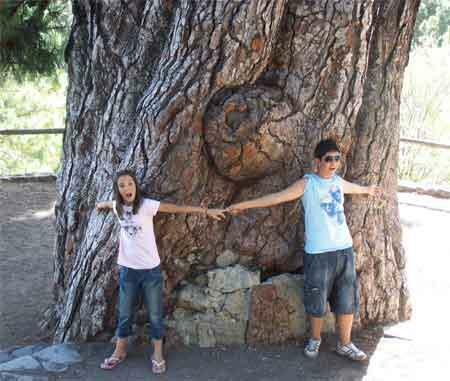 Magic Circle Tenerife - VIP Private Tour in Tenerife: huge pine tree. Magic Circle Tenerife is an exciting VIP private tour in Tenerife to a lot of the most important island’s attractions by luxury Mercedes Benz limousine in the case of group or family of 1-4 people or by mini-bus (if 4-8 people). The trip starts and ends at your hotel at any part of Southern Tenerife. We could pick you up from the North up to the agreement. During the Magic Circle Tenerife VIP private tour with experienced local driver/guide, speaking your language, we will visit and make stops: In Vilaflor which’s the highest village in Tenerife. 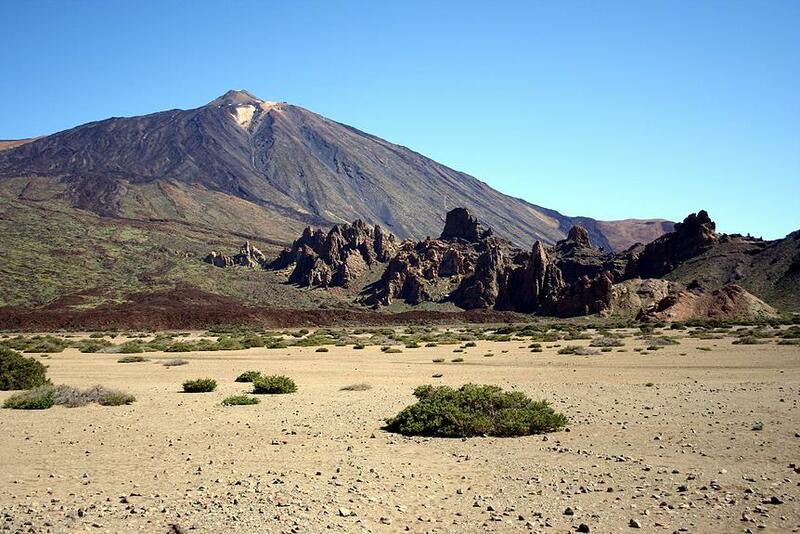 A few stops in National Rark El Teide with the possibility to lift to the volcano to the height of 3550m and later we’ll see impressing sights of Teide Observatory. We will pass giant stone rose formed in the rocks and the Valley of La Orotava with its historical Canary style architecture. 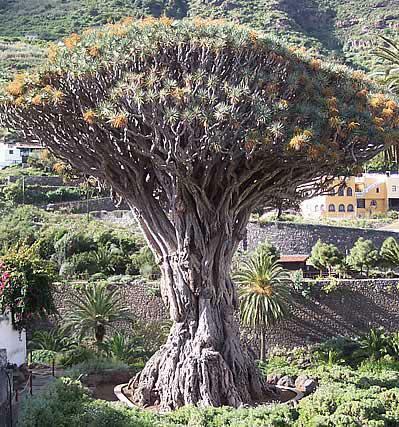 Later the Tenerife Magic Circle VIP private tour will take us to Icod de Los Vinos to see more than 1000 to 5000 years old Dragon tree. 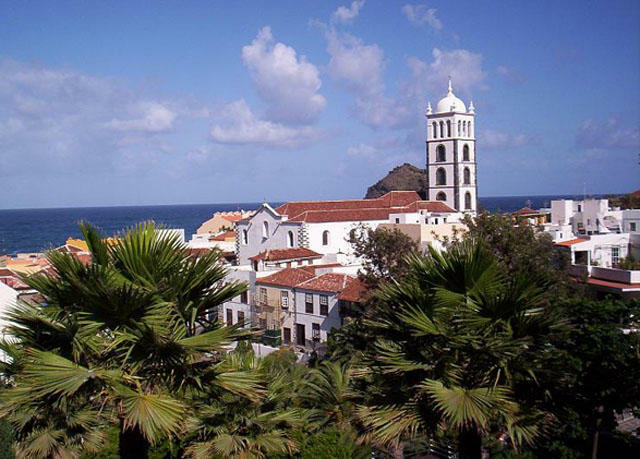 Then we stop and walk a bit through the main square and peaceful streets of Garachico – the first capital of Tenerife, where you can feel true atmosphere of typical Canary town as it was hundreds of years ago. Here, in Garachico, also was main trade harbor of Tenerife. Unfortunately, more than 300 years ago Garachico and its trade harbor were almost completely destroyed by lava after last big eruption of the volcano. 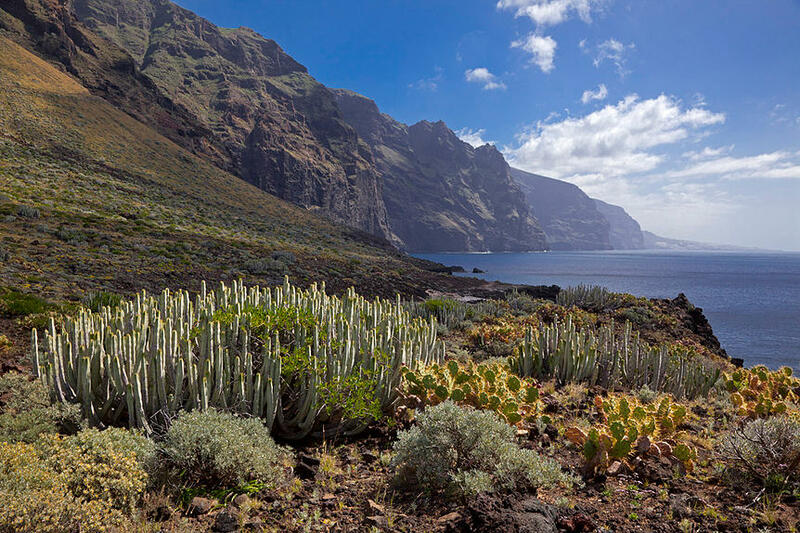 Then Tenerife Magic Circle VIP private tour leads us through the Teno cliffs and dark tunnels to the peaceful paradise by Teno Lighthouse – the most western point of the island. 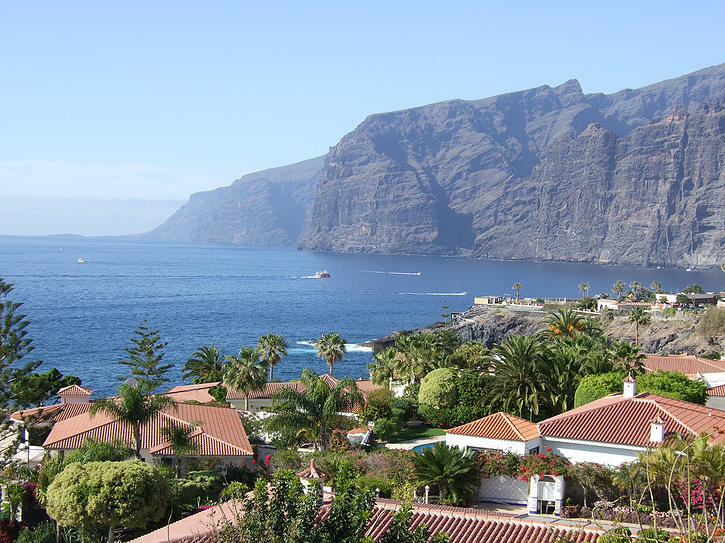 Here we can see the highest cliffs in the Atlantic Ocean – Los Gigantes as well as neighboring La Gomera island. At the end of our private tour we will drive through the Masca road and old pirate village Masca, – this is one of the curviest roads in the world and one of the most beautiful views are located along this road. If you plan to make just one or two private sightseeing tours in Tenerife during your stay, we strongly recommend you to choose The Magic Circle Tenerife as one of them. The Magic Circle Tenerife VIP private tour is one of the most popular our tours and since we will visit a lot of attractions within the planned time and you will probably want to stay longer in one or another place. Therefore you can always prolong the tour up to your wish for an additional fee. 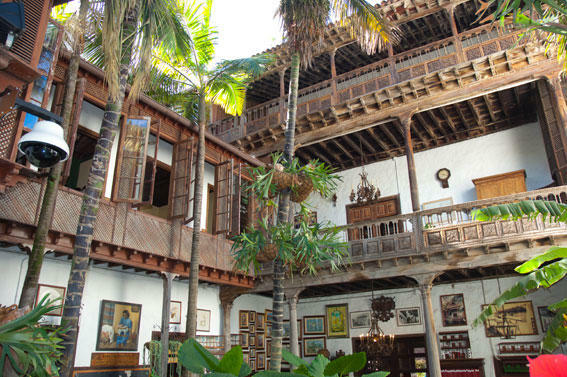 In order to make your booking of Tenerife Magic Circle Private Tour in Tenerife easy and comfortable Tenerife Host use the most advanced and user friendly booking platform TripsPoint.com where you can easily check last actual prices, the tour availability, required booking deposit and book this tour. To get more information of Tenerife Magic Circle Private Tour in Tenerife and do booking, please, click the button ‘Book Now’. You will be taken to the tour page at TripsPoint.com where you can easily book the tour. 349€ – up to 3 persons.